Access hundreds of brands, from regional and national foodservice vendors, showcasing their latest and most popular products along with this season’s hottest trends! Registration is now closed. We’ll see you at the show! Our annual food show is also a fantastic opportunity to engage with our Chef, Account Executives, Purchasing, Marketing, and IT teams while getting hands on with exciting new foods and foodservice innovations. See first hand new and popular products from a wide range of categories including appetizers and side-dishes, entree items, bakery products and desserts, fresh produce, meats and seafood, non-foods, chemicals, cleaning and more. 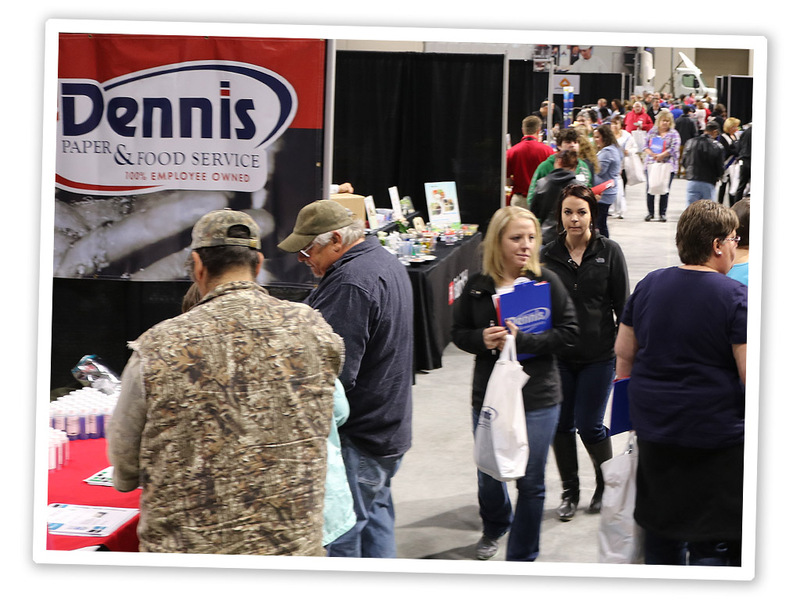 The Dennis Paper & Food Service Food Show is open to our customers, their family and employees. The show is free to attend, however prior registration is required. Questions? Talk with your A.E. or call 1-800-439-2727. We know many of our customers are traveling from several hours away, even crossing state lines to get to our food show. 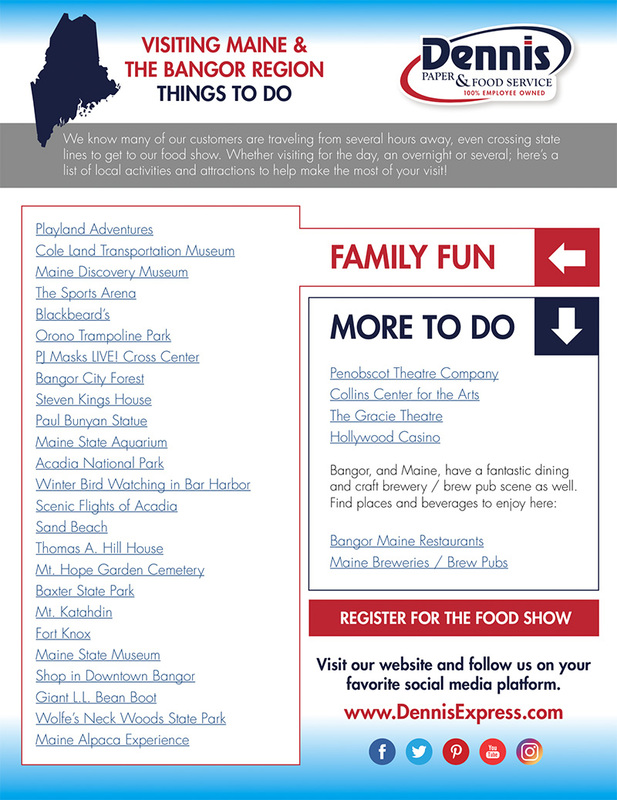 Whether visiting for the day, an overnight or several; here’s a list of local activities and attractions to help make the most of your visit!